If you love India and enjoy travelling, you can’t move forth without mentioning ‘Rishikesh’. It’s a holy town in the Dehradun District of Uttarakhand which is the ancient city of religious temples, ashrams and more. Surrounded by the range of Shivaliks and situated at the foothills of Garhwal Himalayan Range, it has become the main attraction for the travellers and explorers worldwide. Also, the reverent people of India like visiting the beautiful vicinity of this place as it’s located just 35 km away from Haridwar. Being 25 Km far from Jollygrant Airport of Dehradun it is convenient for the foreign visitors as well. Here, you can have a spectacular view of jungle-clad hills and enjoy rafting and beach campsin Rishikesh supervised by the highly trained professionals. Adventure aficionados hit the place to put their minds at ease and enjoy their lives to the fullest. The town is a hub for the adventure activities like trekking, swimming, camping and bungee jumping etc. Whether you are alone, or with friends or family, you can anytime hire the professionals to guide you and help you spend the most beautiful days in Rishikesh. The place also has confluence of glorious attractions such as Chandrabhaga and River Ganges. If talk about the primeval time, the yogis, saints, sages and sannyasis loved to meditate at this serene place. This is why Rishikesh is many times referred to as “an abode of sages”. The town is today also popular as a Yoga Capital of the world. It is believed that by spending time in Rishikesh, meditating and having holy dip in river Ganges one can get liberation from the cycle of death and rebirth. The people of all ages and stages have a wish to visit the place, at least once in a lifetime to glee all their senses and get lost in the lap of nature. One can’t get an experience better and more relaxing than being in the arms of Rishikesh –the divine town in Uttarakhand. 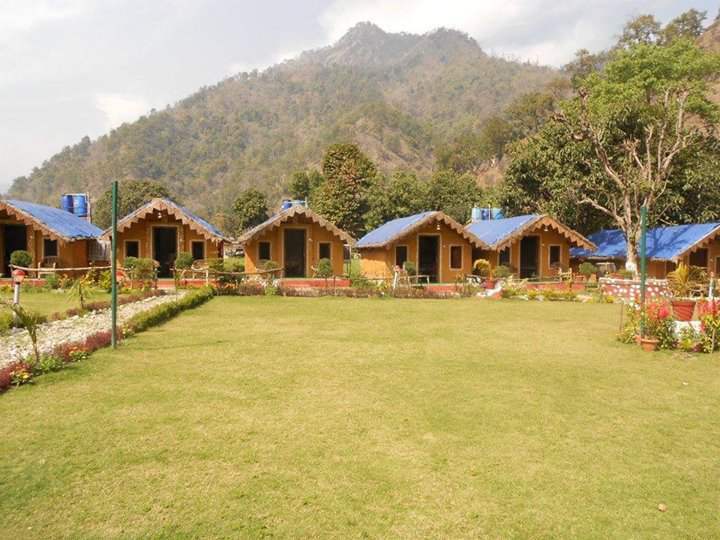 As the place is very famed as the white water rafting capital of India, there are a myriad of copper-bottomed organizations to help the first-timers procure their once in a lifetime moments and memories with jungle camping in Rishikesh. So, if you are an adventure lover and want to get an enthralling escape from your boring noise city life, get in touch with the experts and have a trip to the town!